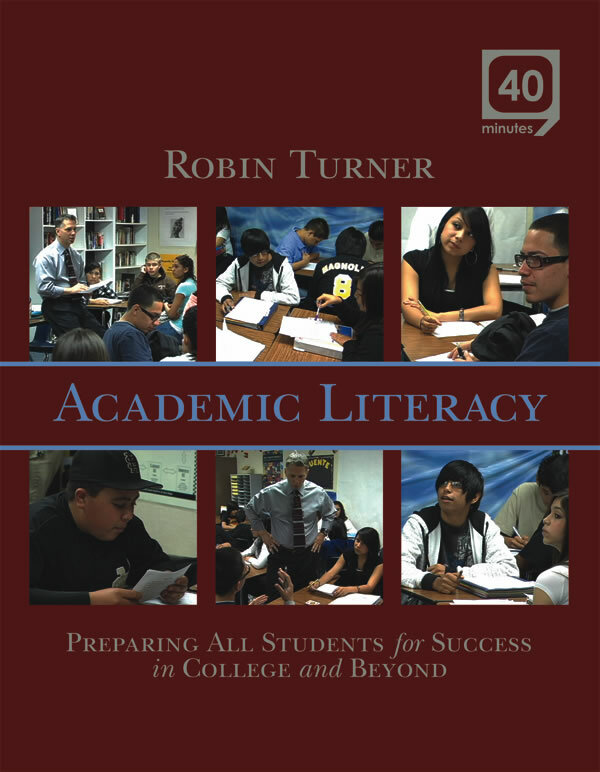 In his book, Greater Expectations, Robin Turner, a high school English teacher in Anaheim, California, describes how he helps prepare the underrepresented—predominantly Latino and African-American—students in his class for the literacy challenges of higher education. In addition to sound literacy strategies Robin draws on principles from the Puente Project, creating personal and cultural connections that help students become more engaged and invested their work. In Academic Literacy viewers get a glimpse into Robin's classroom, where many students are the first in their families to attend high school, let alone college. Robin employs careful, systematic, and rigorous methods to help students acquire the literacy skills they need to succeed in even the most elite college programs. These methods include the use of short sophisticated texts, practice in academic writing genres, ongoing guided discussion, mastery of literary and technical terms, involvement of families, and peer mentoring from older high school students and graduates of the program who have moved on to successful college careers. Practical, thoughtful, and inspiring, Academic Literacy demonstrates that when we combine higher standards with appropriately-targeted literacy support, students who are often left behind in traditional tracked high school programs can succeed beyond our greatest expectations. Robin was inspired to become a teacher by his eleventh-grade English teacher. "He was genuine, caring, and had a great sense of humor. He was the most real teacher I've ever encountered," Robin recalls. "When I was a senior, he allowed me to be his TA, and that experience taught me a great deal about the craft of teaching."